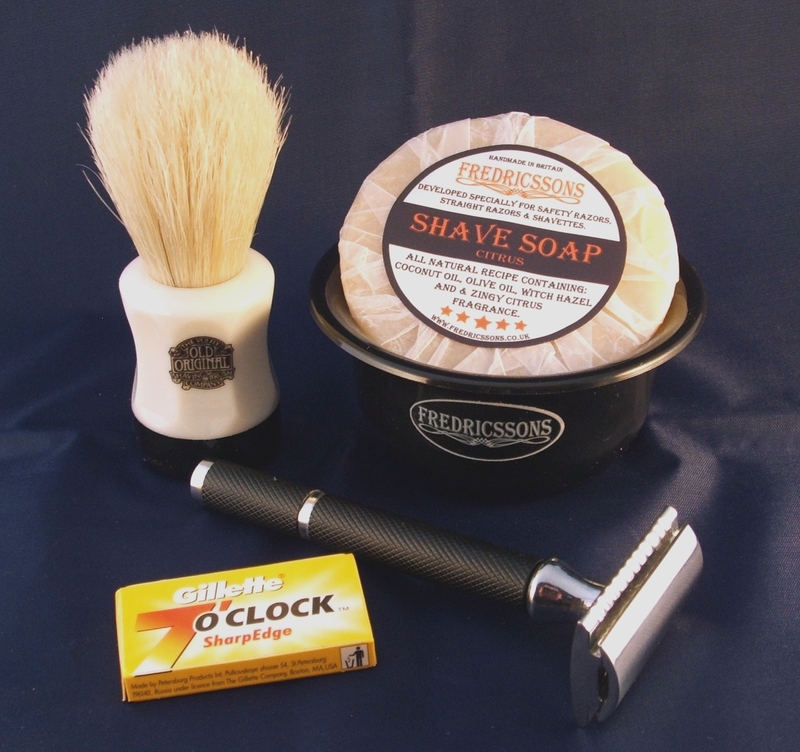 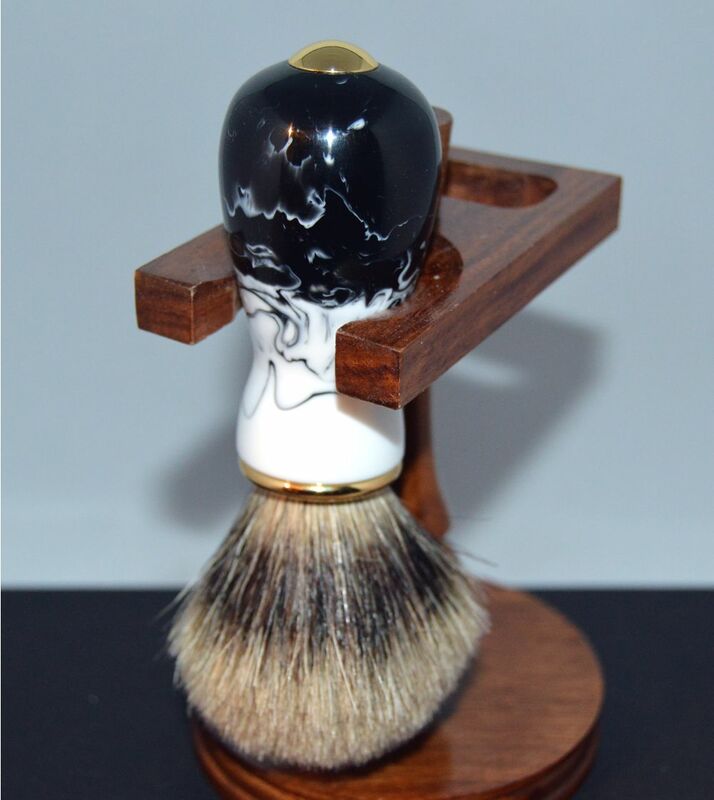 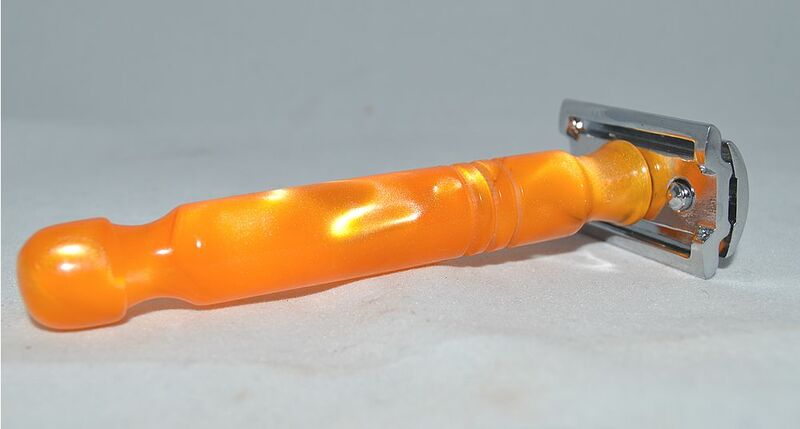 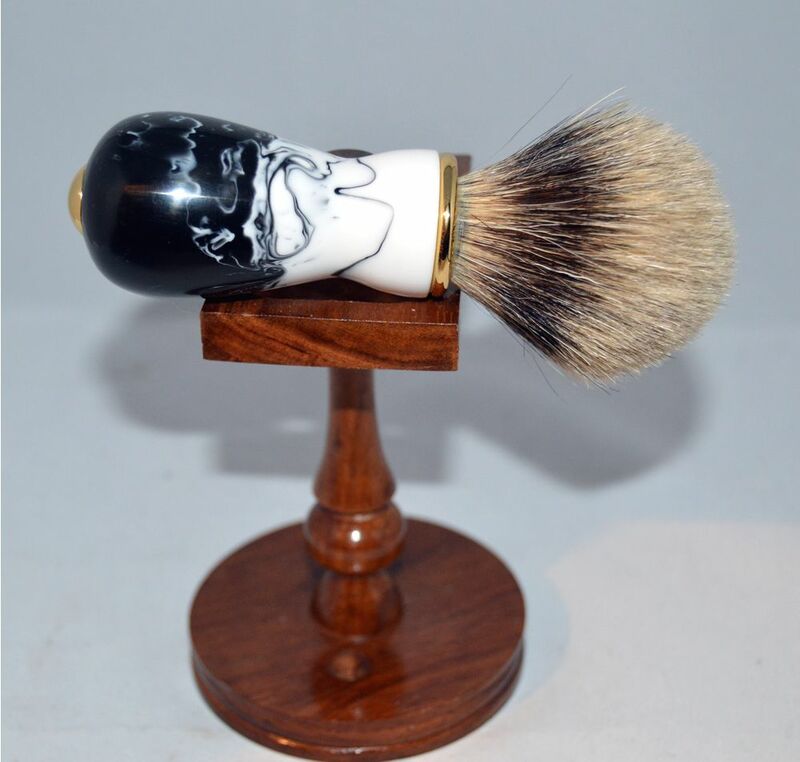 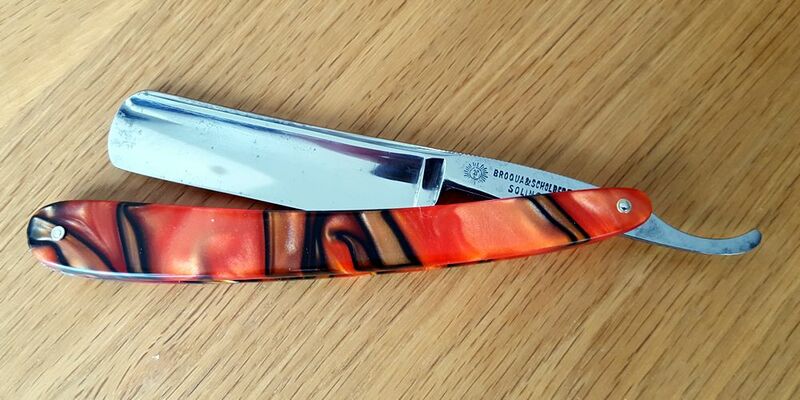 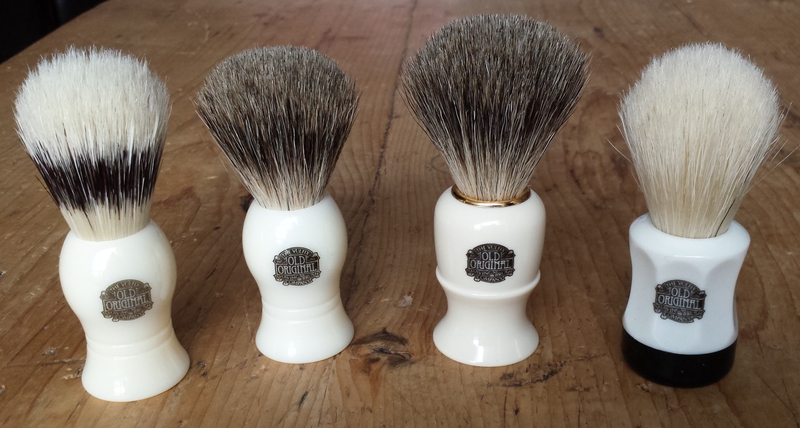 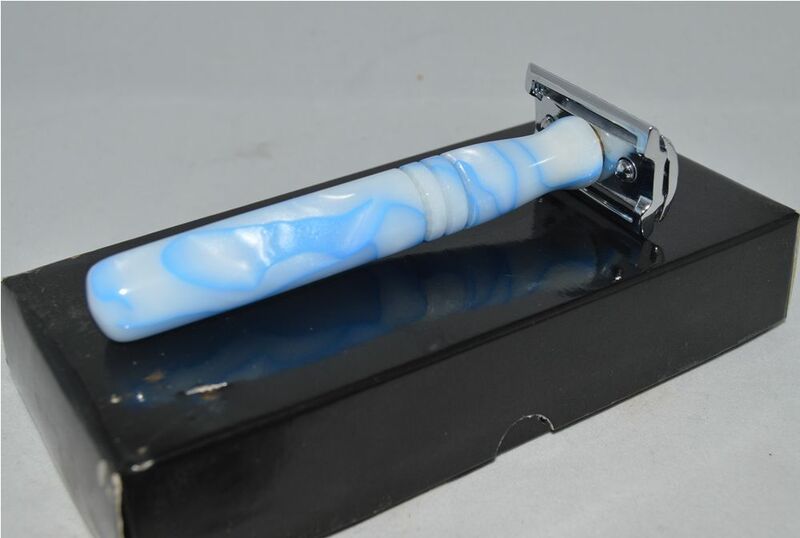 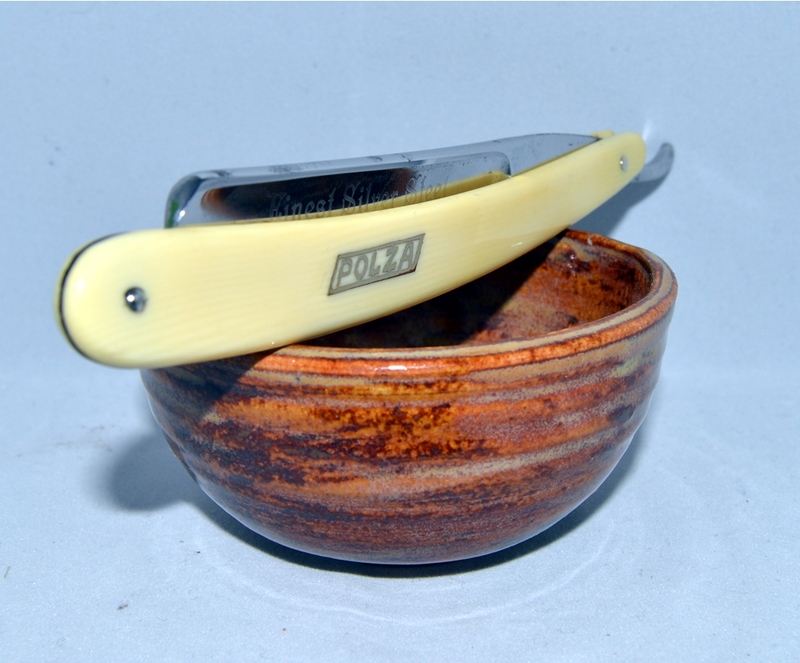 Vulfix badger bristle shave brushes … best of British ! 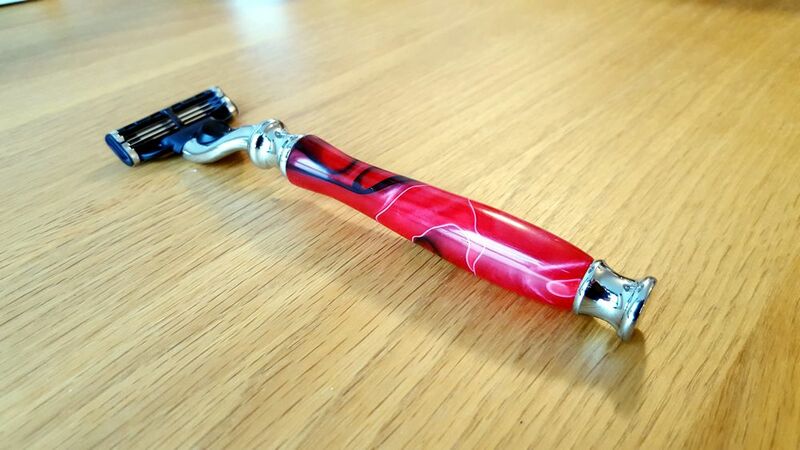 No available to buy on ebay ! 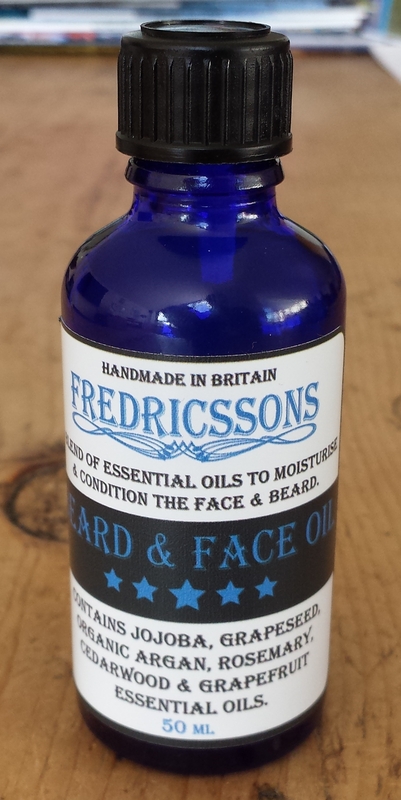 Beard and Face oil now available ! 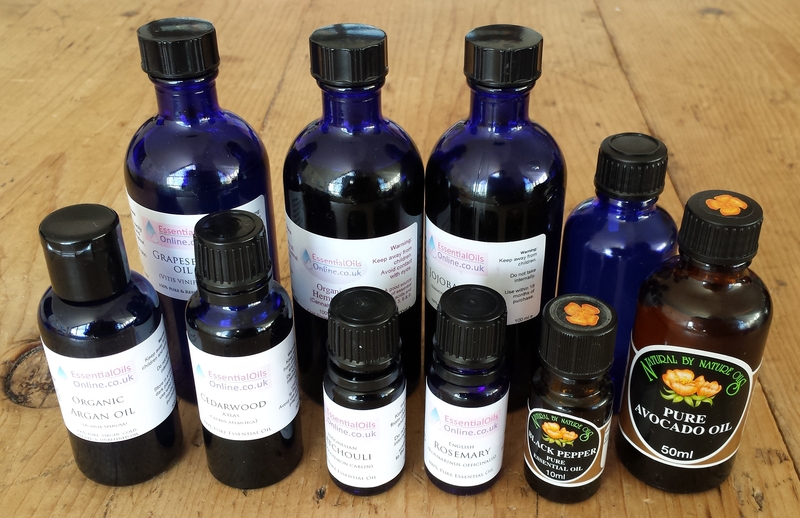 My delivery of essential oils & bottles has finally arrived ….. beard oil on the way ! 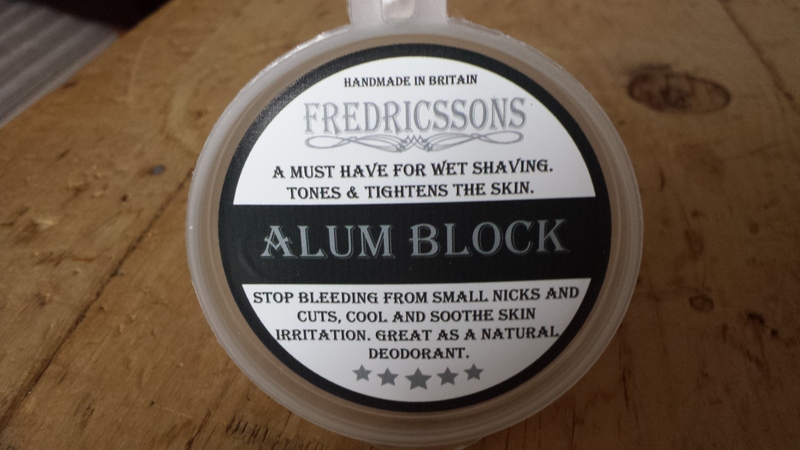 JUST ADDED A NEW FRAGRANCE TO THE LINE UP ! 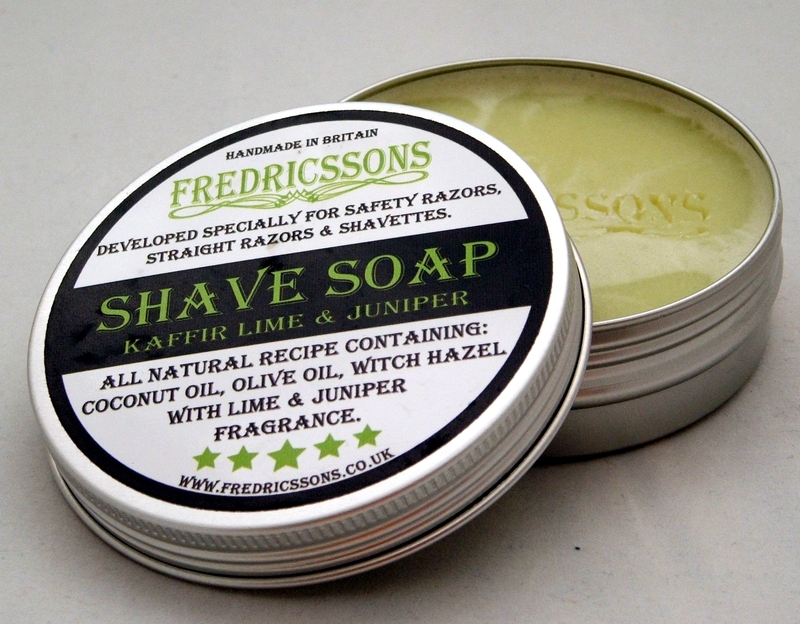 I was asked if I could make a pre shave soap by one of my regular customers so decided to experiment a bit. 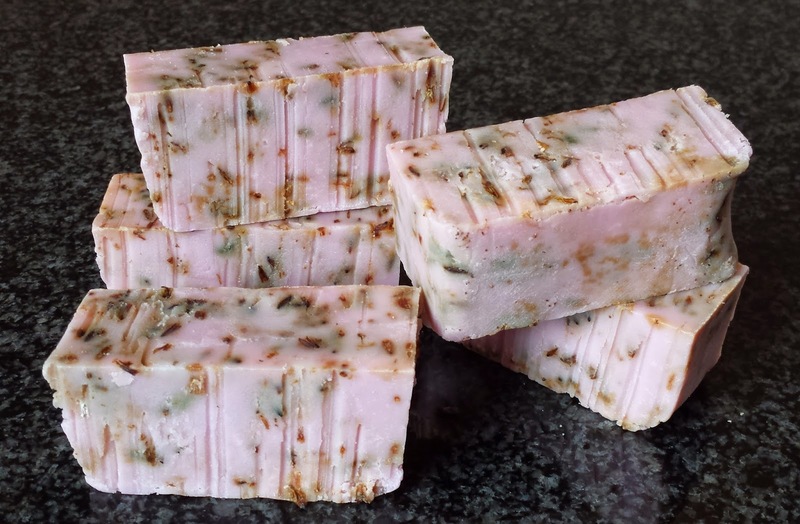 This soap is Olive Oil based and has blue poppy seeds as a natural exfoliant plus menthol for a cooling effect. 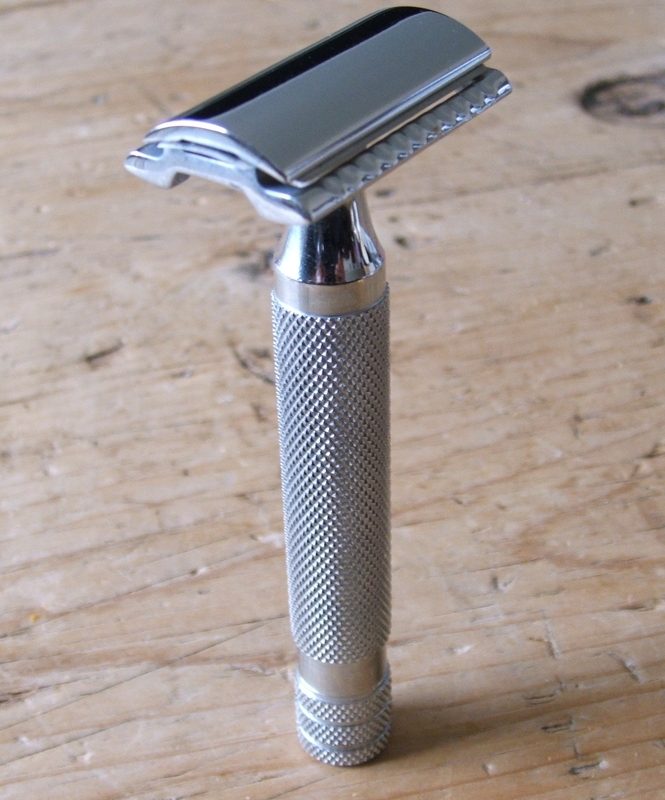 It cleans the skin, exfoliates and most importantly softens and lifts the bristles prior to shaving. 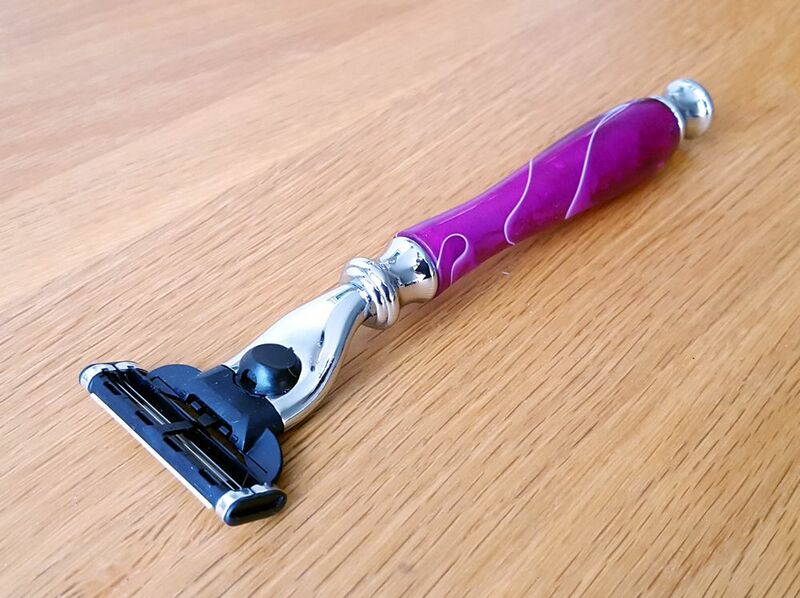 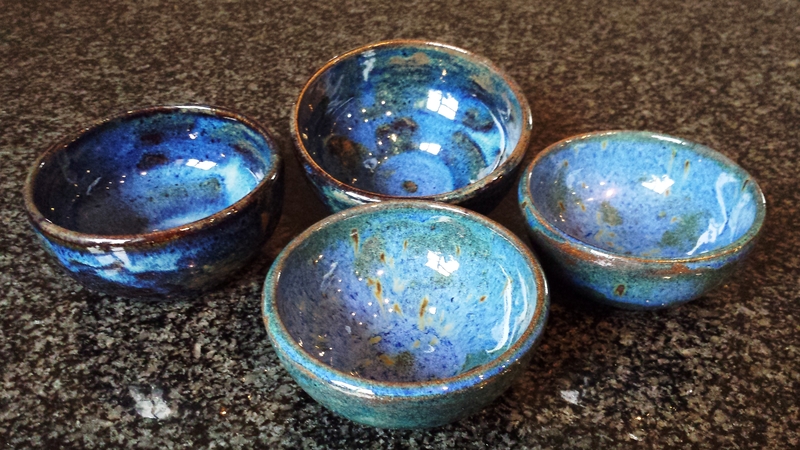 The first customer reviews seem very good so I plan to start making & selling on ebay soon but you can buy it directly as I have a small initial stock, they are £3.95 ea plus carriage. 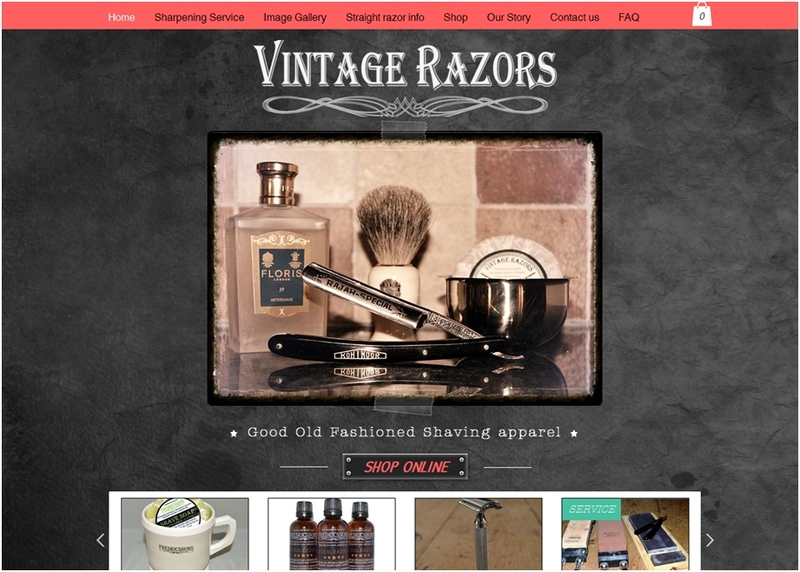 Just click the button to pay directly on paypal. 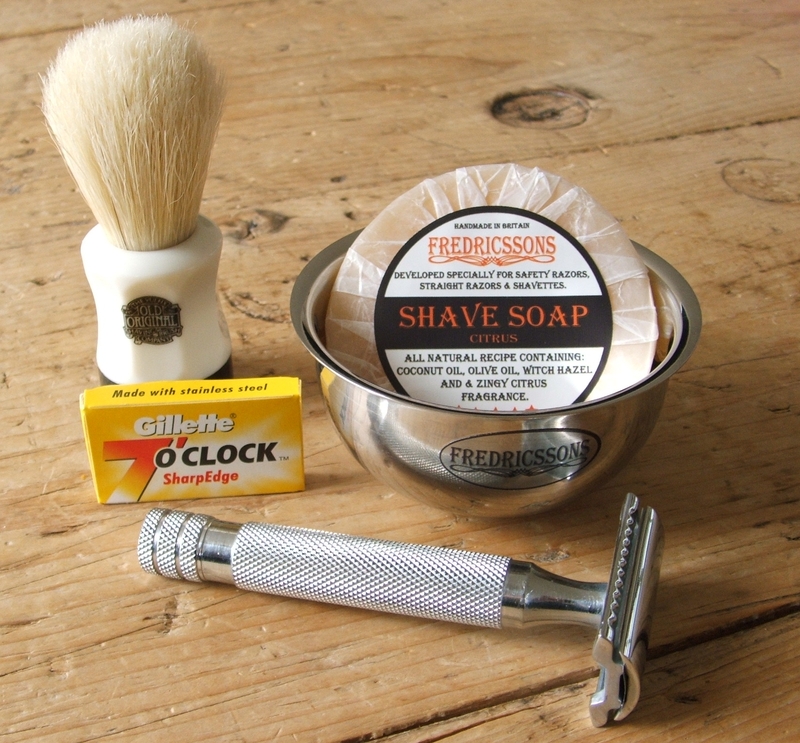 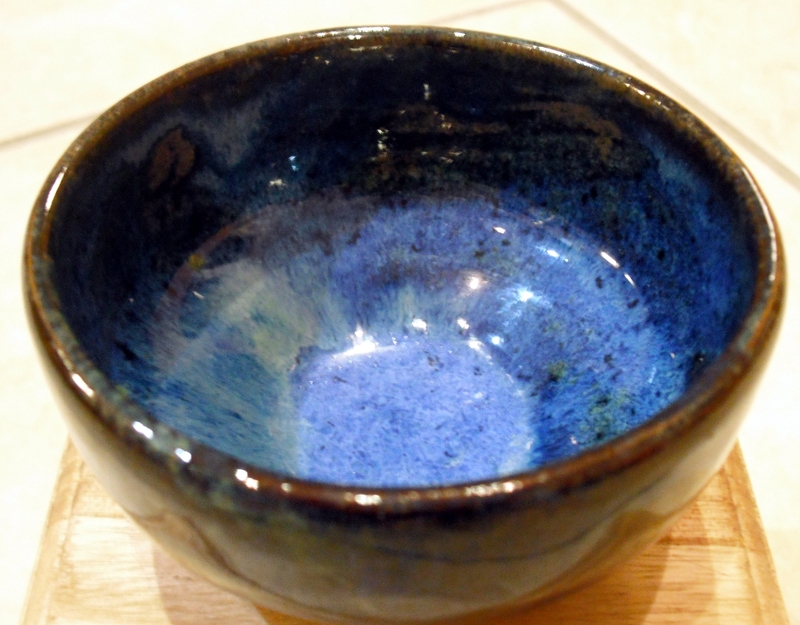 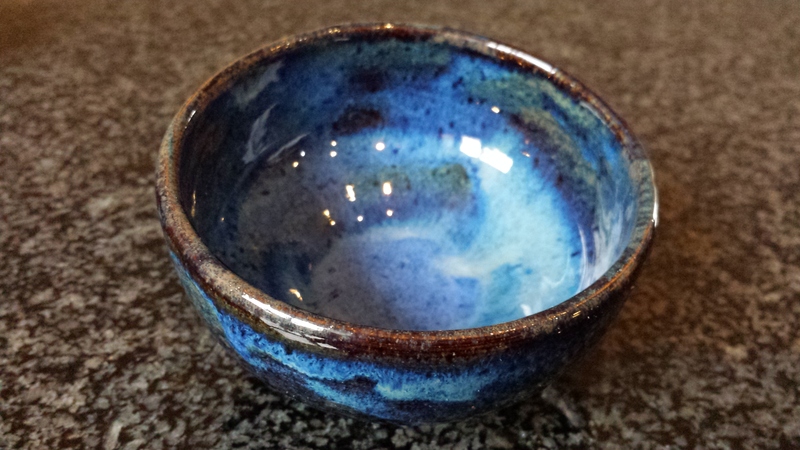 Have made my own silicone soap moulds so that every shave soap fits its bowl ! 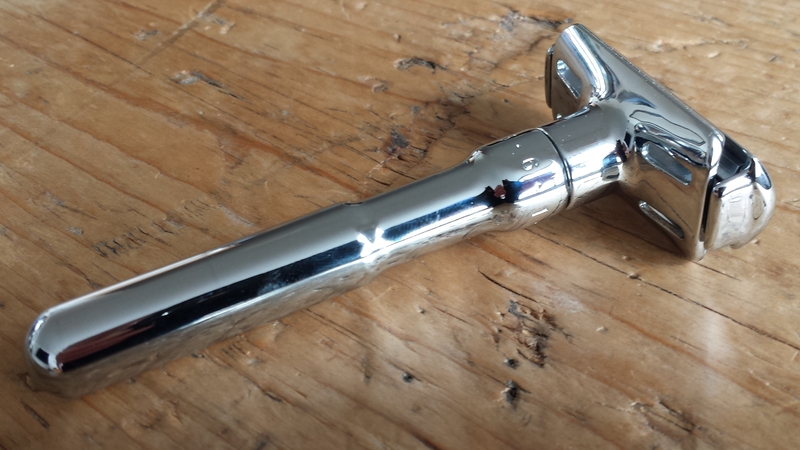 Look a bit odd but work brilliantly ! 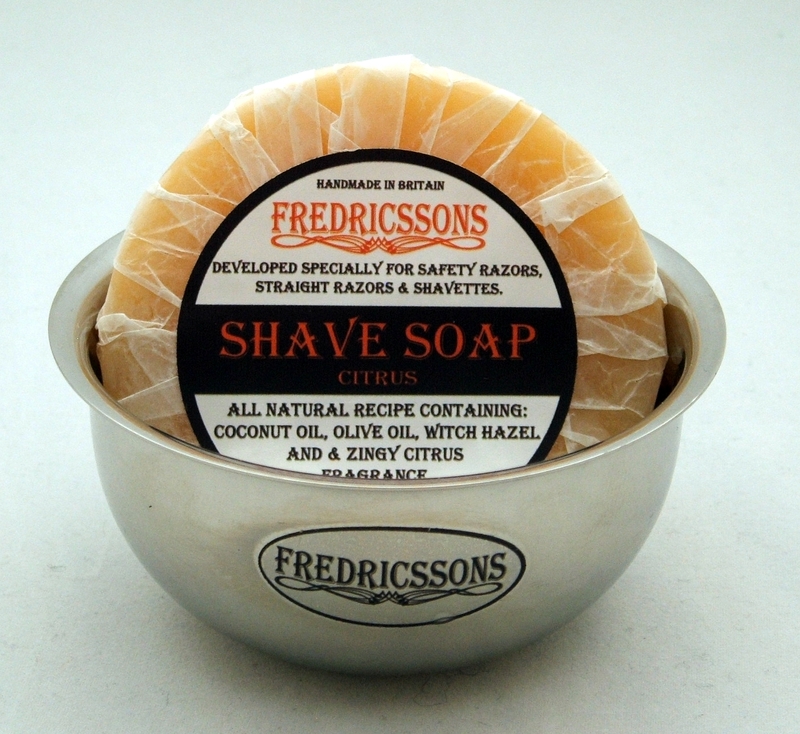 The Patent Fredricsson’s Soap dryer ! 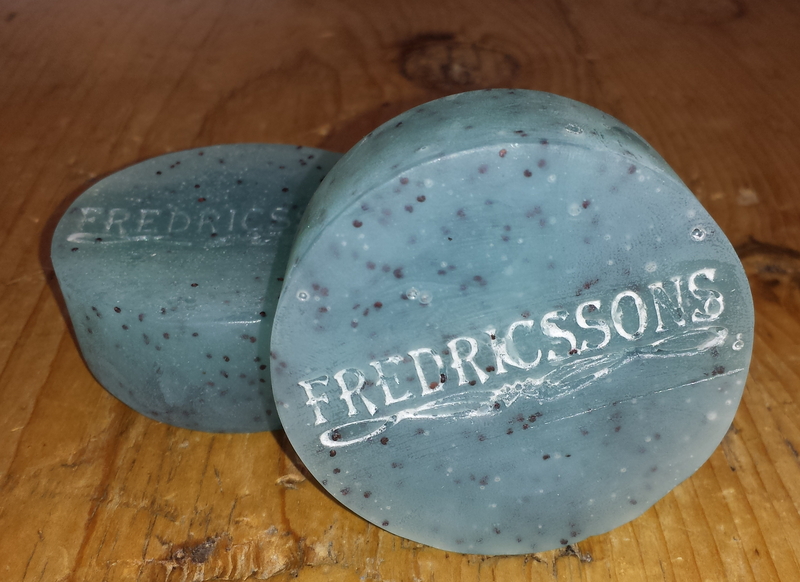 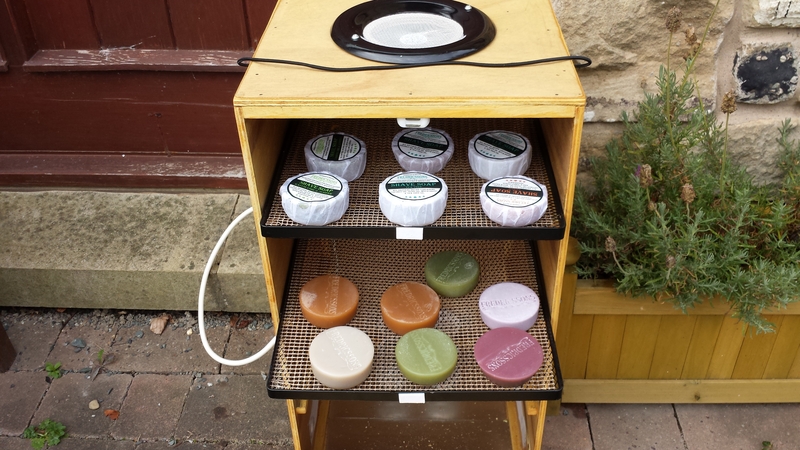 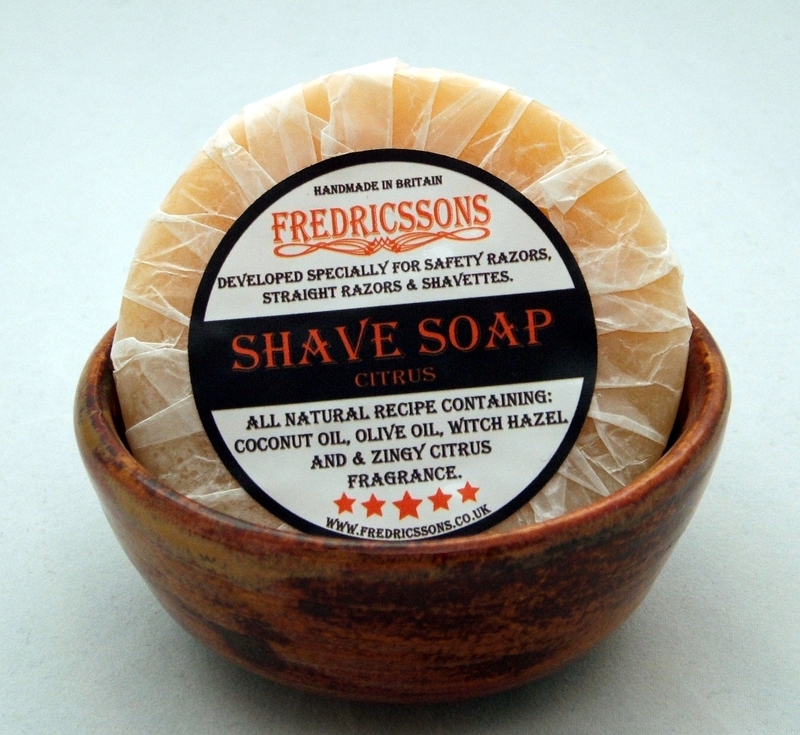 Introducing the Fredricsson’s patent soap dryer & conditioner ! 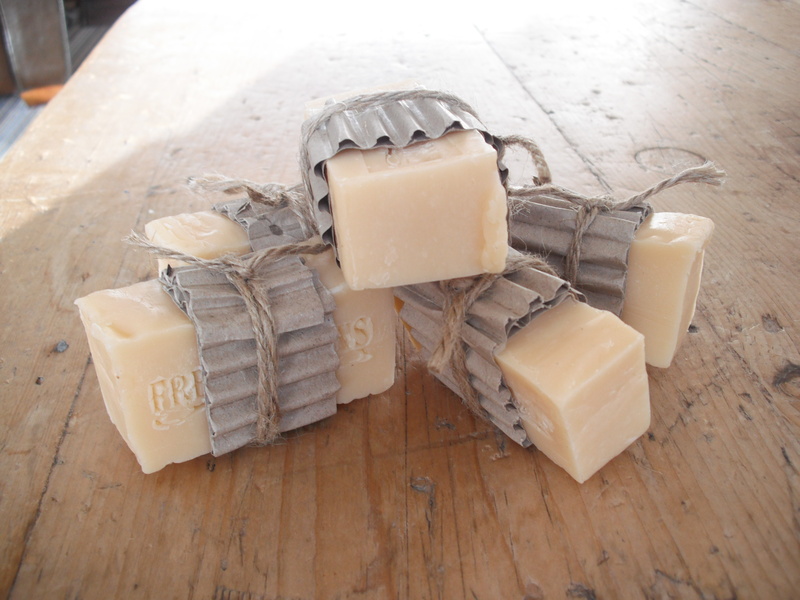 These shave soaps will go in for about a week for drying & conditioning before being wrapped. 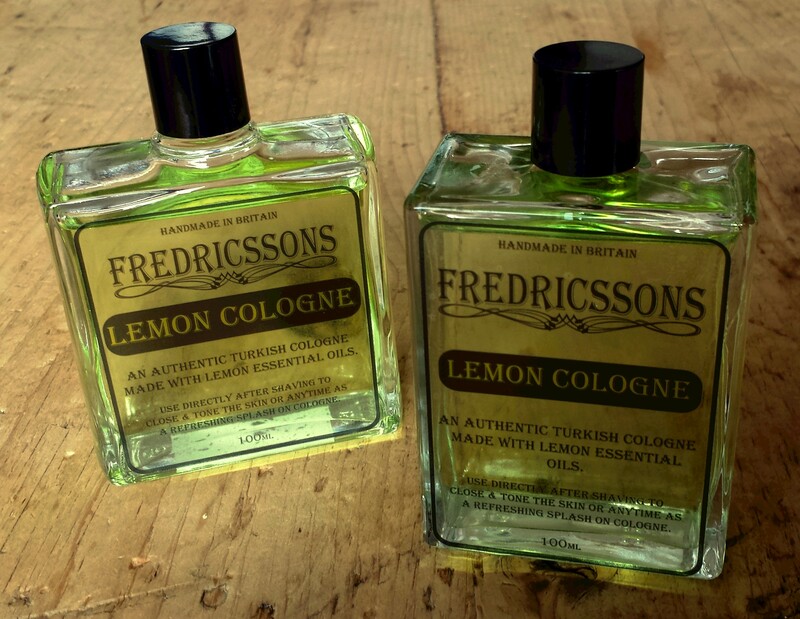 I have been experimenting with my own version of an authentic Turkish Lemon Balm cologne, should be available soon !